On October 2nd, we arrived at Chennai after an overnight, 13-hour, train ride from Hyderabad. Experiencing the Indian railroad system was a thrilling experience. The leather bunkbeds, the beautiful 6:00 a.m. Chennai sunrise, and the multiple chaiwalas walking back-and-forth the train’s narrow corridors fascinated me. Unfortunately, I was only able to sleep for four hours of the rickety ride. I felt exhausted throughout the rest of the day in Chennai, and we even had to attend two full lectures! I was eagerly looking forward for the day to end, so that I could get a good night sleep before classes the next day. Little did I know that I would end up having the best night of my trip so far. 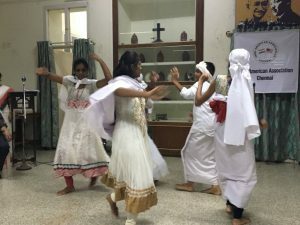 Our group’s interactions with people from the Indo American Association (IAA) helped me set aside my exhaustion and enjoy a cross-cultural evening full of wonderful conversations. At 6:00 p.m., we headed to the welcoming ceremony organized by the IAA. 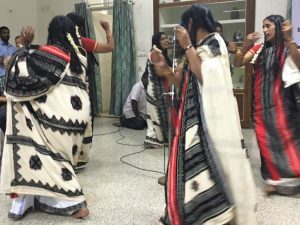 After the welcoming speeches, two different native tribes from the Nilgiri Hills of Tamil Nadu performed traditional dances for us. 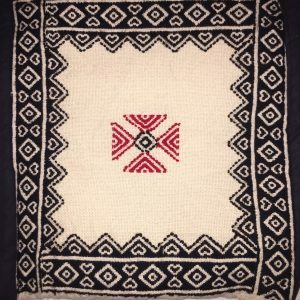 The tribes were the Toda Tribe and the Badagas. The Todas are a pastoral community of around 1,000 individuals. 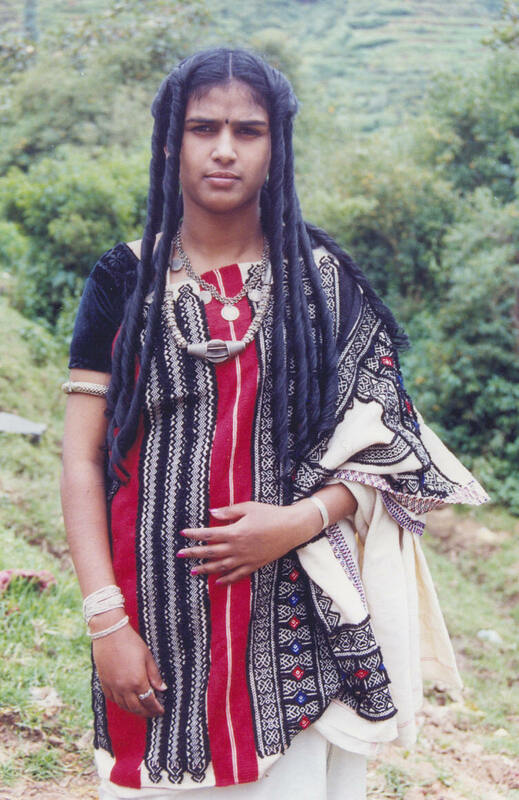 They are one of the original tribes of the Nilgiris mountain range. The Toda language, of Dravidian origin, is unique to their small community and does not have a script. Their main occupations include herding cattle and working with dairy products, but because of their increasing interactions with other communities, as the world becomes more gobalized, they now engage in other occupations such as agriculture. The Toda people praise the buffalo. They believe that before their goddess, Teikirshy, created the first man, she created the sacred dairy-buffalo. 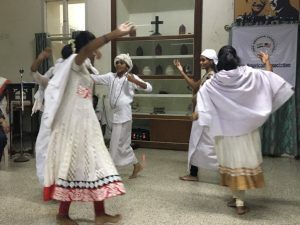 Because of these beliefs, their community leader is a holy milkman, who acts as a “priest of the sacred dairy” and cannot interact with others in the community while holding this position. When I met some of the Toda women, the first thing I noticed was their beautiful outfits and their distinct hairstyle. The Todas‘s long hair had been curled with ghee from buffalo milk. 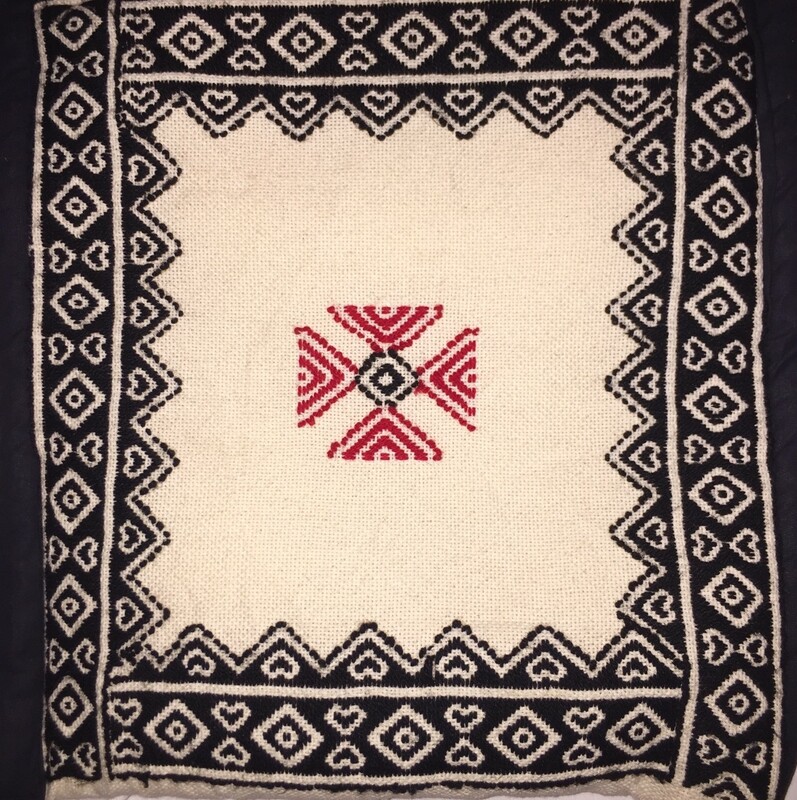 Their traditional attire, a single piece of cloth embroidered with red, white, and black thread, is known as pukhoor. The designs are meticulously calculated and done by Toda women without having to look at any references, making their final garments even more remarkable. The designs are so impressive that they received a GI certificate by the government to ensure uniform prices for their products and protection of their designs to avoid replication. 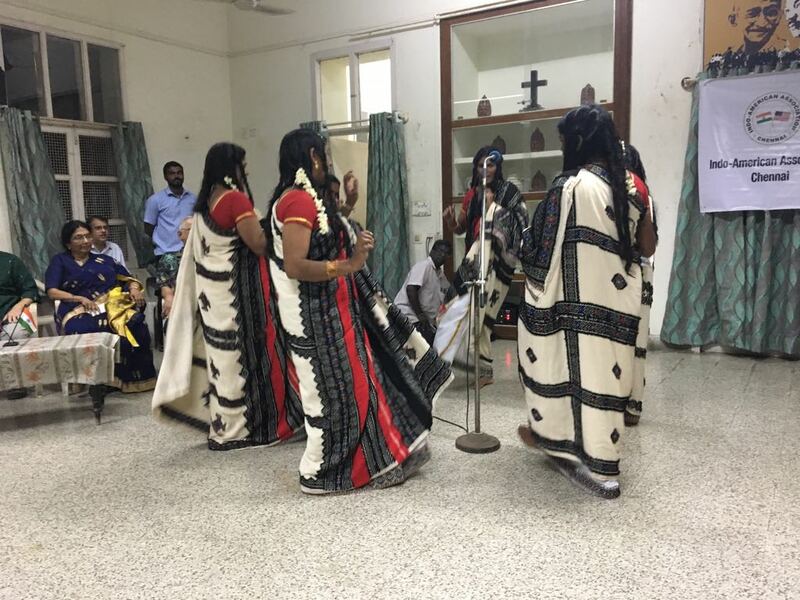 The dance that they performed consisted of six women positioned in a circle moving in a clockwise and counter clockwise direction to the rhythm of a song that they sang. Afterwards, the Badagas performed their dance. It consisted of a group of four girls and one boy. The oldest girl was the leader of the dance. They followed her steps to the rhythm of a recorded Badaga song, resulting in a beautiful and graceful choreography. They all wore white attire, with a piece of cloth called the Thundu, a staple of their culture. The Badagas are the largest tribal community in the Nilgiri Hills, occupying around 303 Hattis (villages) throughout the region. They speak their own language, Badugu, which lacks a script. Most Badagas are Hindus and worship Shiva, but the main deities are Hethai and Ayya. The Badagas also give great importance to the Hethai Habba and the Devua Habba festivals. Just as the Todas worship the buffalo, the Badagas worship trees, a practice that arose from Buddhist influence during the Mauriyan empire. After the performances, both tribes invited us to join the circle so that we could dance along with them! It was a great way to experience a small piece of their culture. After the ceremony concluded, we all proceeded to the International Guest House of the YWCA for dinner. Heather and I sat on a table with some of the people from the Badagas tribe, this was the best part of the night. 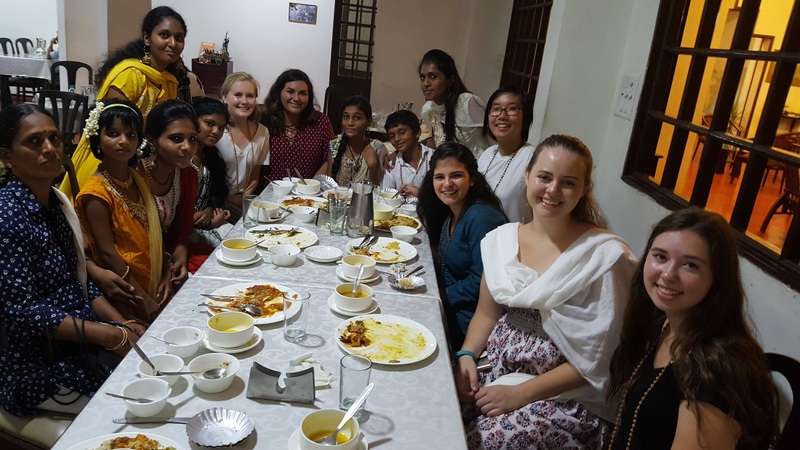 We mostly spoke to Pooja and Sreeja, two sisters who are close to us in age. They are studying engineering and computer science in Chennai. Just as Heather and I go to college in a different state and go home during breaks, they also go back home to the Nilgiris during their college breaks. They asked us about our culture, so I spoke about my Venezuelan heritage and Heather spoke about her Chinese-Jamaican one. 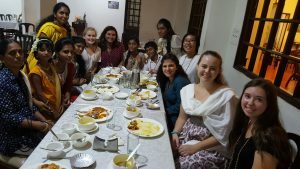 They also taught us how to properly eat rice and sambar with our hand, we tried our best. We had a long conversation about sports, food, and our future careers. We decided that if we ever returned to India, or if they ever visited the United States, we would contact each other and hopefully meet up again someday. I am a documentary filmmaker who is doing a PhD programme in the field of visual storytelling. As part of my submission, I am making a documentary film on the topic of augmenting the income of the local tribal population in the Njlgiri hills of Tamil Nadu, India. I came across a photo of the Today tribal woman in your blog site. I was wondering if I could get your permission to use the photo as a small insert in my intro fo my documentary film. Hoping that you would accede to my request. Hello. Yes, you can use the photos. Just keep in mind that I got the first photo from the public domain. 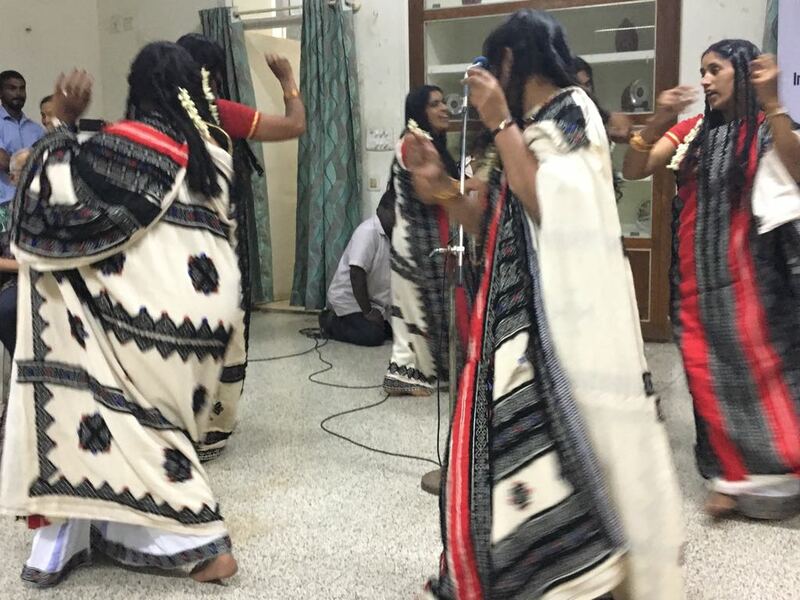 The ones of the tribal women dancing are my own and you can use them.